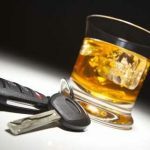 If you are looking for a Buffalo lawyer defending drivers who have either gotten a DWI or a traffic violation ticket, please give this a read and then call our office to set up a free consultation. Throughout the course of my 30 years as a criminal defense attorney in Western New York, I have handled approximately 40,000 criminal and traffic law cases. This includes hundreds of DWI cases. After practicing in this area for more than two decades, I have earned the respect of district attorneys and judges in Buffalo, Amherst, and throughout the various counties of Western New York. Please call our Buffalo lawyer today for a free consultation.